Back in the old days (A.K.A. before amazing wedding resources like Squarespace existed) couples were big-time limited to the info they could share with their guests. Details had to all fit onto a teeny-tiny info insert in their wedding invite, or be spread by word of mouth, so no doubt, some important facts would get lost in translation. 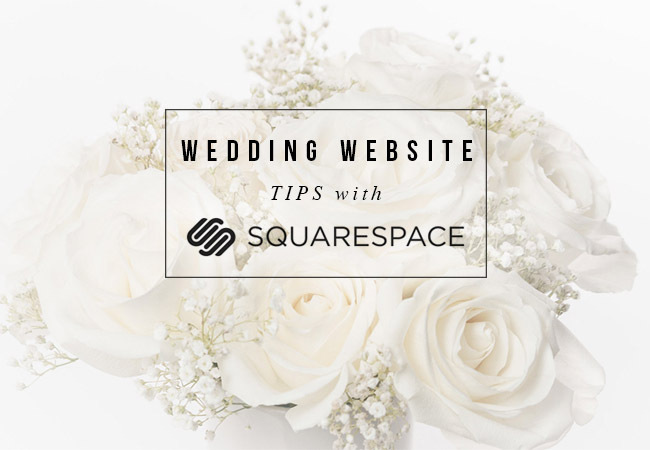 Couples today are pret-ty lucky in comparison, and sharing the important wedding info (think dates, registries, directions + more) has never been easier thanks to Squarespace. Since we know that many of you are already somewhat familiar with their beautiful, mobile friendly sites + award-winning templates, we thought we’d share a few tips today about how to set up your personal wedding website and, in the process, make it look as amazing as your wedding will surely be! 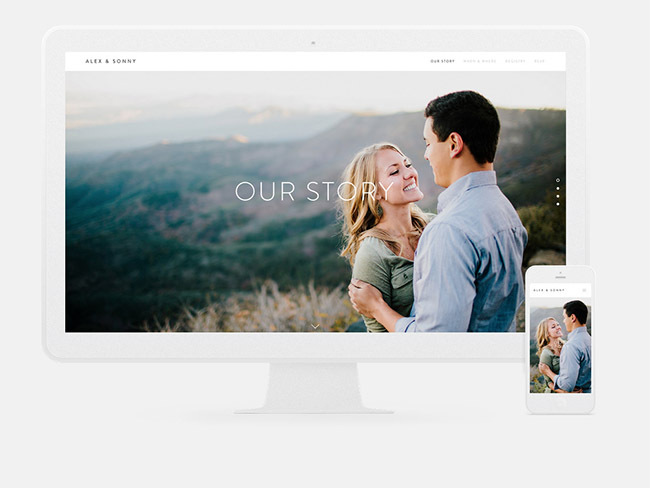 First things first, choose a template that speaks to your aesthetic (Squarespace has an entire series of beautiful templates JUST for weddings) + personalize your site with photos. Use their beautiful galleries​ to create an album chronicling your lives together + come up with your own unique URL. Every annual account includes a f​ree custom domain name. For step two, you’ll want to include your registry info so friends + fam can easily navigate their way to finding you the perfect wedding (or bridal shower) gift. Linking to or embedding w​edding registries ​is a snap. And creating a customized cash gift registry is easy with Squarespace as well. Love that! RSVPs can be a total pain to keep track of, but it’s part of the process, folks! So we can’t sing Squarespace’s praises enough since they allow you to easily collect e​mail addresses + RSVPs​ with their super simple RSVP function that saves your guest list in a simple spreadsheet. 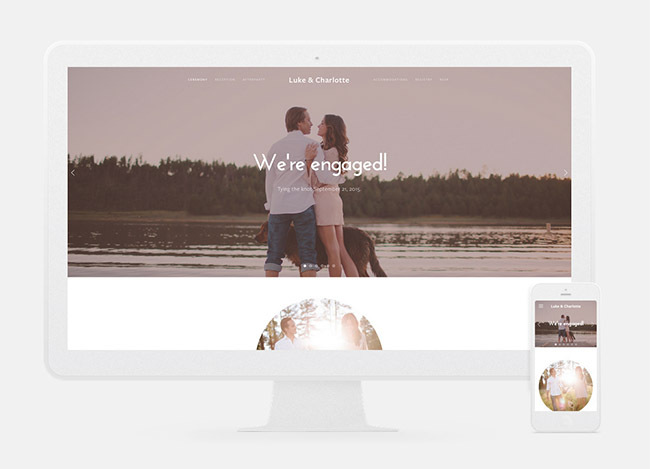 Our last bit of advice is to make sure your wedding website looks great (and actually works!) on all devices. Chances are, your guests will be flipping through your registry page on their phone when their at the mall grabbing your gift and double checking directions to the venue (using their phone or iPad). Squarespace sites feature responsive design, meaning your website scales to look + work great on any device. We hope these wedding website tips were helpful! If you’re ready to set up your new wedding website, don’t forget to use the offer code GREEN15 to get 10% off their already affordable prices (which includes 24/7 support via live chat + email). 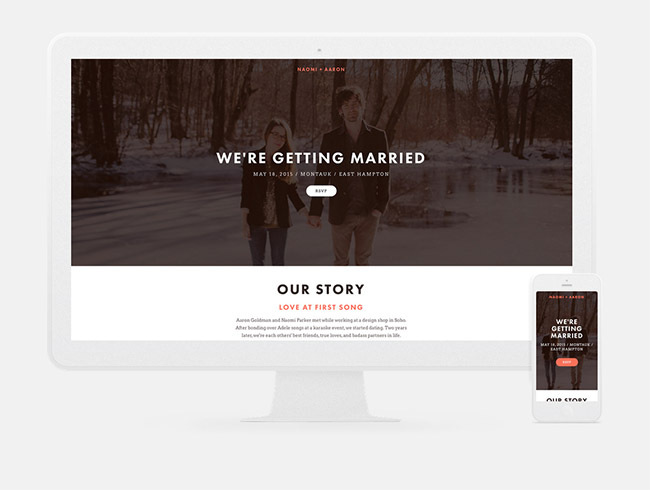 Have fun planning + building your new wedding website! Just complimenting the GWS site!